Grown and ripened on a family farm, our food maintains their nutrition and flavor without adding anything sketchy—so what you're eating is clean, raw and real. Eating a juicy peach can be…messy. Instead, just open the bag, grab a few slices, and keep going. No napkins required. Ever tasted a freshly picked pineapple in Costa Rica? Open the bag and you will! 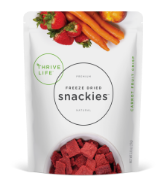 Freeze drying makes it happen. 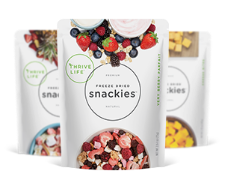 By simply removing the moisture, we get fresh fruits and veggies that stay fresh for months without preservatives. Could fresh strawberries do that? "Instead of chips, I eat the Banana Snackies before football practice." 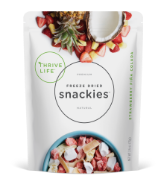 "Pineapple Snackies are the perfect late-night snack!" 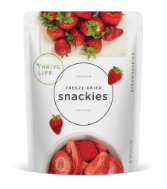 "I think my favorite part is that when I looked at the ingredients, it just says strawberries!"